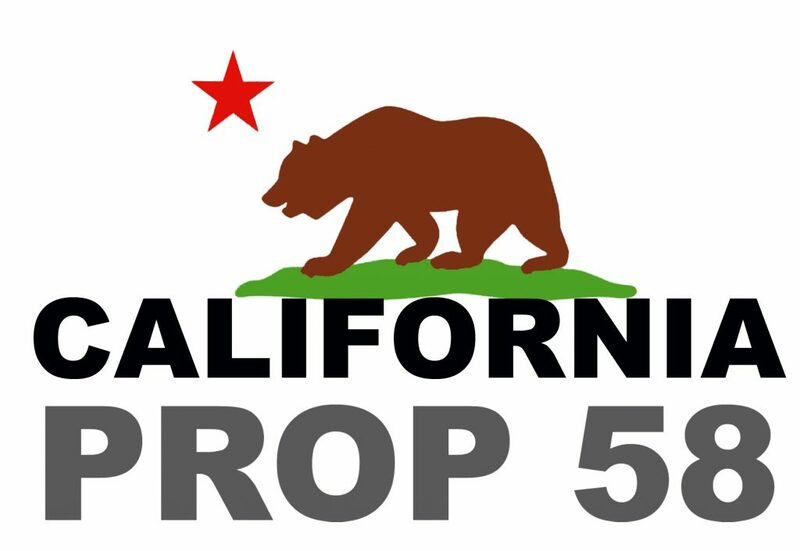 What is California Proposition 58 and how may it benefit you? On November 6, 1986, California Proposition 58 became effective. Proposition 58, with certain limitations, permits the exclusion for reassessment of property taxes on real estate transfers between parents and children. California Proposition 58 is codified by section 63.1 of the California Revenue and Taxation Code. In the State of California, real estate or real property is reassessed at market value if it is sold or transferred. Property taxes can sometimes increase dramatically as a result of a property tax reassessment. Per Prop 58, if the sale or transfer is between a parent and their child, under limited circumstances, the property will not be reassessed, providing certain conditions are met and the proper application is filed in an appropriate amount of time. California Proposition 58 allows the new property owner to avoid property tax increases when acquiring property from their parents. The new owner’s taxes are instead calculated on the established Proposition 13 factored base year value, as opposed to the current market value. It is important to be aware that there are some limitations to California Proposition 58. For instance, on non primary residences transfers are limited to the first $1 million of real property. The $1 million exclusion applies separately to each eligible transferor. These transfers may be the result of a sale, gift, or inheritance. A transfer via a trust also qualifies for this property tax reassessment exclusion. Additionally, for Proposition 58 there are limitations for who is eligible to receive these tax benefits. Here are the existing guidelines for Prop 58 relationship eligibility: A “child” for purposes of Proposition 58 includes any child born of the parent(s), any stepchild while the relationship of stepparent and stepchild exists, any son-in-law or daughter-in-law of the parent(s), and any adopted child who was adopted before the age of 18. Spouses of eligible children are also eligible until divorce or, if terminated by death, until the remarriage of the surviving spouse, stepparent, or parent-in-law. For California Proposition 193, an eligible “grandchild” is any child of parent(s) who qualify as child(ren) of the grandparents as of the date of transfer. There are additional factors that are important to consider when it comes to California Proposition 58 eligibility. For instance, the acquiring beneficiary can’t lend money to the trust when funds are needed to make an even distribution of the trust. The reason why is that the Board of Equalization views this act as a child buying out another child as opposed to a parent to child transfer. The child would no longer be eligible for the exclusion of property tax reassessment because the exclusion for reassessment requires a transfer be from parent to child. Often times the only solution in this situation is for the trust to take out a mortgage on real estate located in the trust to supply the trust with the cash needed to make an even distribution. This is not as simple as it sounds. The acquiring beneficiary does not own the property because the real estate is held in the trust. Almost all conventional lenders are opposed to lending to trusts. They will typically ask the trustee to put the title in the name of the acquiring beneficiary before funding their loan. If this is done before the even distribution of the trust, the exclusion for reassessment will usually be denied. Commercial Loan Corporation can help in this situation. Commercial Loan Corporation is one of just a handful of California Lenders who are willing to provide loans to trusts; in fact, we specialize in it. What separates Commercial Loan Corporation from other Private Money Trust Mortgage Lenders is that our Trust Loans are specifically designed with our clients needs in mind. Our trust and estate mortgages enable our clients to take advantage of the Proposition 58 property tax benefits while at the same time avoiding steep pre-payment fees and interest rate expenses charged by many of our competitors. Commercial Loan Corporation charges no pre-payment penalties or specified required months interest prior to loan payoff. Additionally, we permit our clients to pay down their mortgage and will recalculate their mortgage payment for them based on the outstanding mortgage balance. This benefit alone can save our clients potentially thousands of dollars in interest. If you, a client or someone you know could benefit from a trust loan, please call us at 877-464-1066 or complete the trust mortgage inquiry form located here. This entry was posted in Estate Loans, Loans to Trusts, Probate Loans, Proposition 58, Trust Loan Blog and tagged 3rd Party Loan, California, California Prop 58, California Proposition 58, Commercial Loan Corporation, Eligibility, Estate, Information on Prop 58, Law, lender, lending, loans, mortgage, No Prepay, Parent to Child, private money, Prop 58, Property Taxes, Proposition 58, Real Estate, Requirements, Transfer, Trusts by admin. Bookmark the permalink.